Today was a great day. The weather was perfect and everything was calm. Ferments were well on their way. 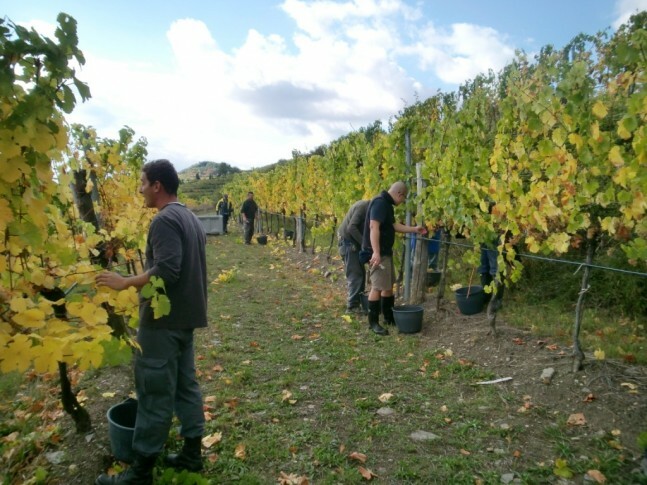 The winemaking team decided to lend a hand to the harvesting team. It was getting stuffy in the winery with all the CO2 gas being produced from the ferment and we need some fresh air. 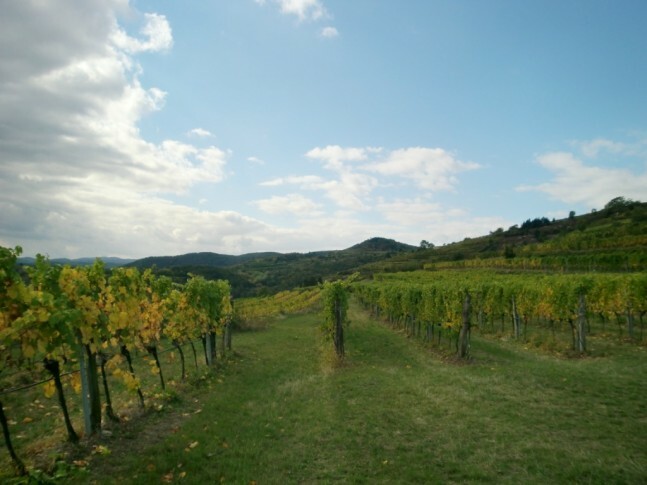 We went picking grape over at the Kögl vineyard. I love the grapes from this site. It comes in ripe and juicy and full of rich sweetness that makes me want to never eat any more Thompson Seedless. The vineyard is special in that is it grown not only on stony soil but its rows are in the E-W orientation. This makes a difference in the exposure of the sun. Vines grown on the E-W orientation tend to have a good amount of sun shining down on the vines through the day. Comparing this to N-S row orientation where the sun tends to be the strongest on the West-facing side of the row and can potentially cause sunburn on the grapes located on that side. 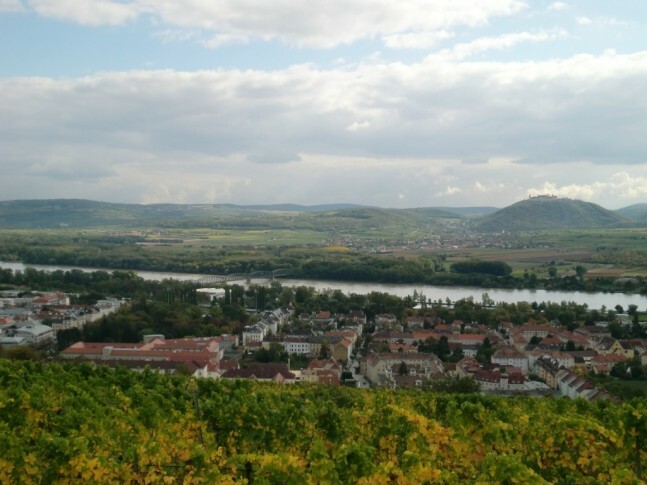 Moreover, the vines also get the reflection of the sun from the Donau river to ripen properly and a good amount of breeze running through the valley to lessen disease pressure. We picked quite a few bins of Rieslings today. We were told to leave any bunches that had 50% or more botrytis on it. 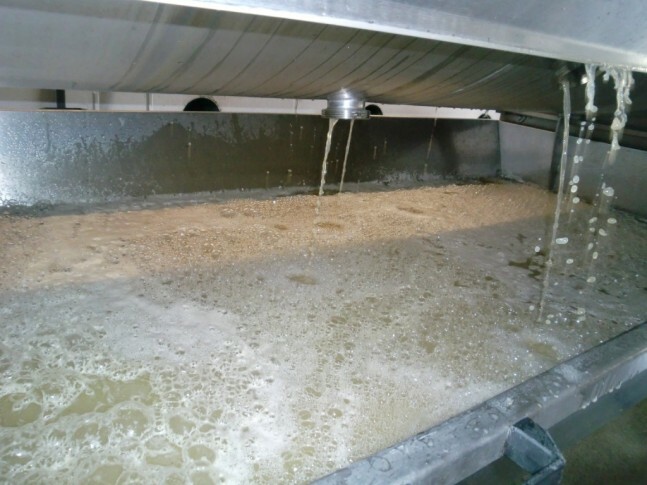 This is not only to have clean grapes during the fermentation of the Kögl Label, but also to see if the bunches will, under favourable conditions, dry out and allow us to harvest them to make a sweet dessert style. We brought the bins back to the winery to press. The flavours coming out of the press were completely stunning. Flavours were pure and intense, colours were bright and brilliant, and the acid was good enough that only little adjustments will be needed. If the grape juice taste good enough to drink now, I can’t wait to see how a little yeasty magic can transform this.